There have been many messages over the past months and a good portion of them focus on the power of the unseen Light to transform our Body-Mind-Spirit (BMS) system. This message in particular focuses on how the waves of incoming Light are here to transform our thoughtforms. This topic is pertinent to the times and energetic events that we are observing around us and shows that we must be even more discerning of what we see and how we choose to evaluate it. Indeed, the power of the Light at this time is intense and it goes deep into the BMS system, purging old thoughtforms which have collected in the electromagnetic system we know as the mind. The Light is here to create clarity in understanding the events we are experiencing in our lives. It is important to understand it this way. The Light, whether it is seen with our physical eyes, or not, acts to purge our BMS system on so many levels, and does so in every moment. By the time the Light flows into our cells as photons, it has already flowed through all of our energetic centres that surround our physical bodies, and that make up our beautiful energetic systems that keep us alive at the unseen level of the infinite. We are not just the physical body. We are made of energy, and this energy is actually “Light”. 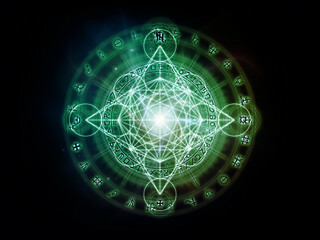 The power of this Light is leading to the awakening of humankind to a new level of consciousness. This Light is conscious awareness at its finest. When we announced the arrival of the new green quantum healer code on October 24th, we could not hope to capture images of it that soon or present a proof of its activity beyond our encounter with the awakening lady on that day. However, Julia sent us photos tonight that she had taken on Thursday afternoon at Crecsent Beach, two days after bringing in this code. The picture was taken at the exact place where we had received the code. We would like to share these photos with you so that you have a first-hand confirmation of the reality of all the incoming energies and codes we report on a regular basis. They are everywhere and permeate every energetic structure – be it a human, animal or inanimate system. In this photo the green orb containing the new green quantum healer code is on a rock and, when magnified, the colour is identical to the one I published as an illustration in my report. We want you to know that everything we experience nowadays has a universal validity and transforms the energetic structure of this reality in a more profound and effective way than we can envision in our most daring dreams. While the old matrix is in its last throes, such transcendental phenomena compellingly herald the emergence of the new original world.